Great panning shot Scott. 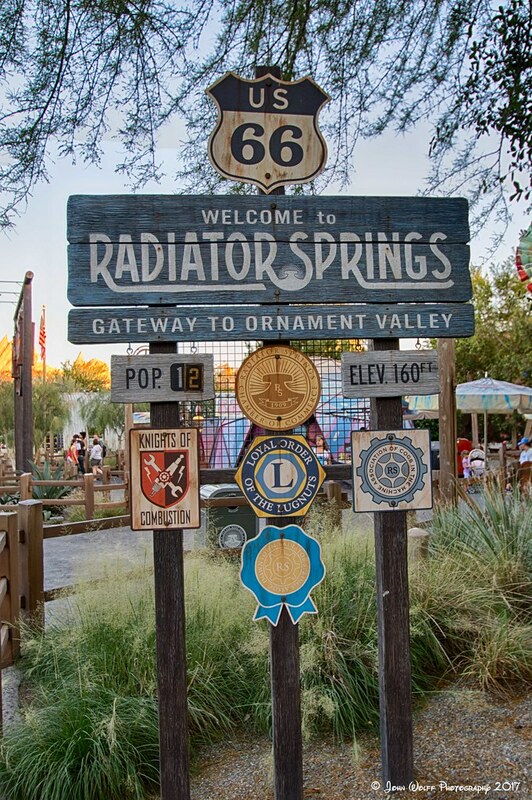 I'm looking forward to exploring Carsland myself in January. You are going to have a great time. ; It is like being in the movie. 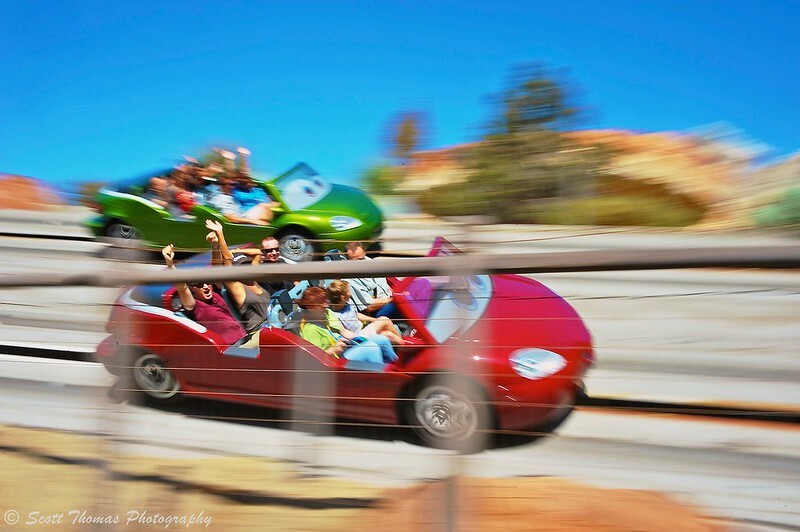 ; Though I have shared this previously, thought I would add this photo of cars racing around Willy's Butte to this thread. Where did you go on vacation this year? What was your best holiday? Click the photo to share! 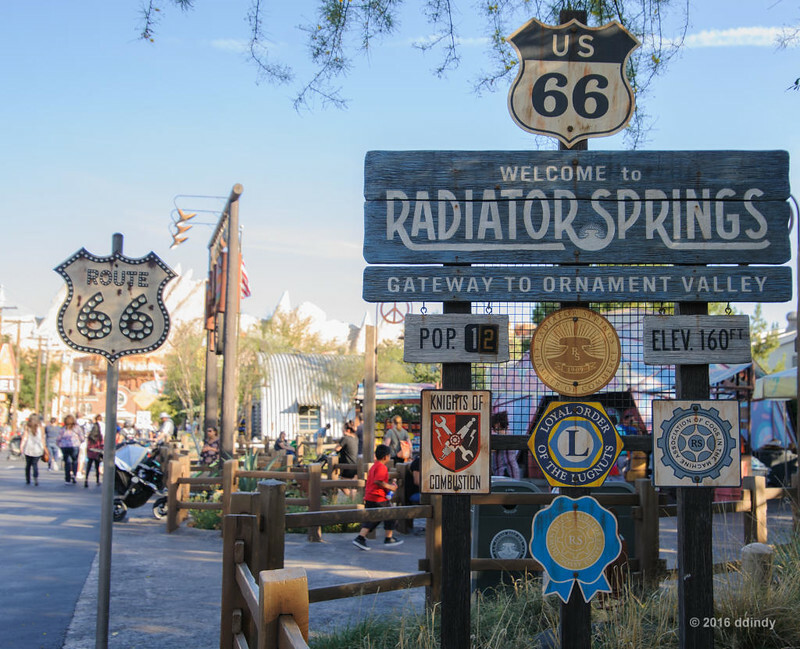 I visited the town of Radiator Springs in Disney's California Adventure. 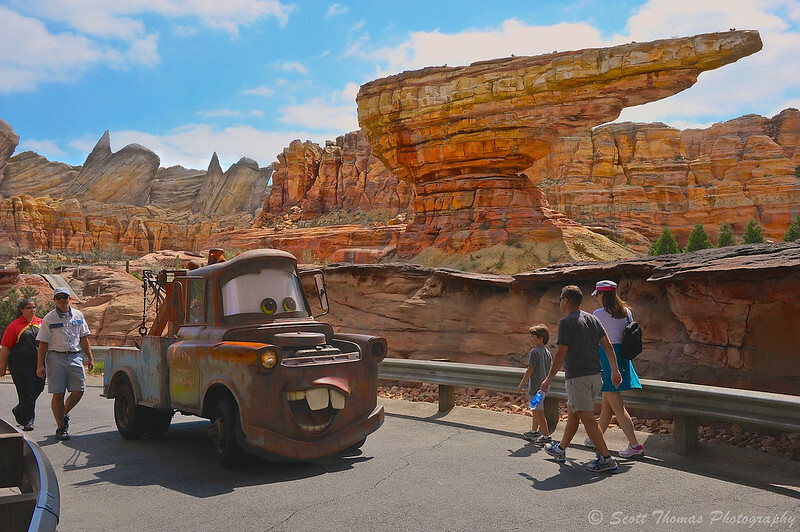 Mater traveling through Ornament Valley greeting guests along the way. 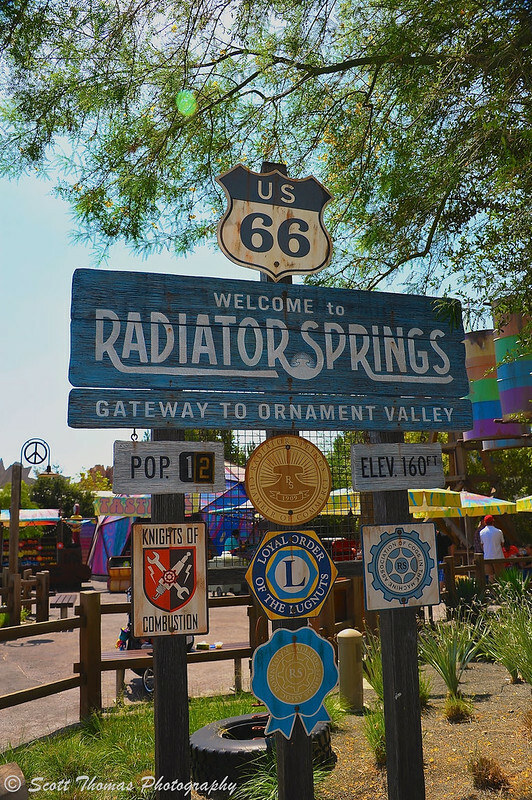 ; He was a good ambassador for Radiator Springs. Whoa, that Caddy fin shot is definitely a keeper. Excellent job! Ditto what Dennis said. Sweet lighting on the caddy fin! Wow! Not sure how I missed the Ornament Fin shot! Very nice! Awesome Scott - never saw this thread the first time, so glad to see it bumped back up! And Peter - the Caddy fin mountain shot is excellent - great light and color. 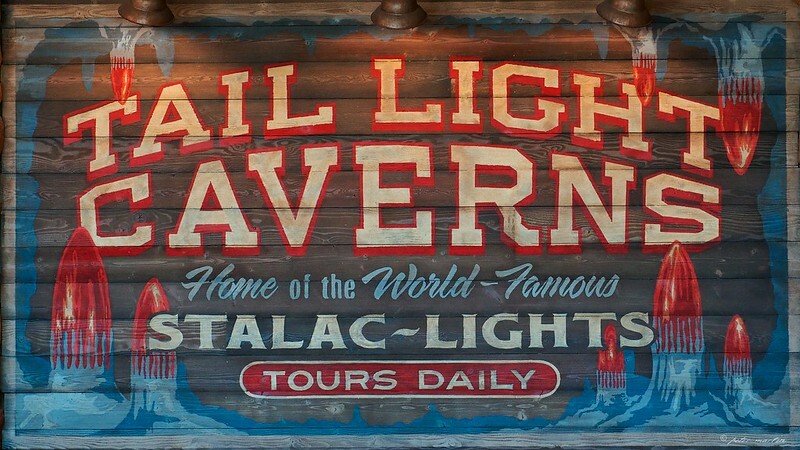 I cannot wait to see something like this pop up over here on the Florida side! 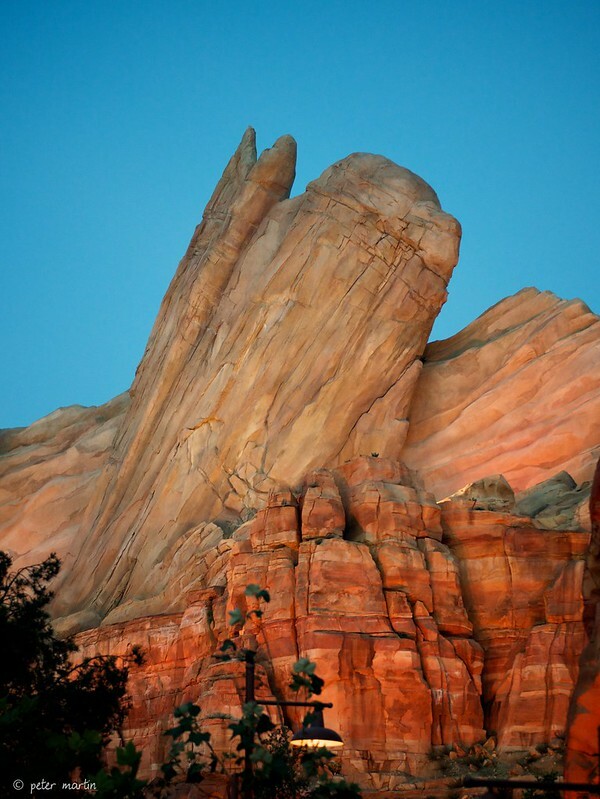 The level of detail in Cars Land is unrivaled. More is definitely more here. 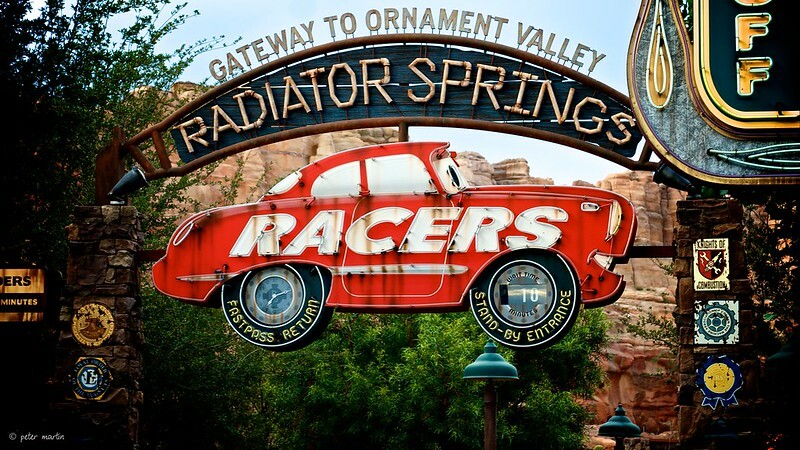 This is a billboard from the end of Radiator Springs Racers. 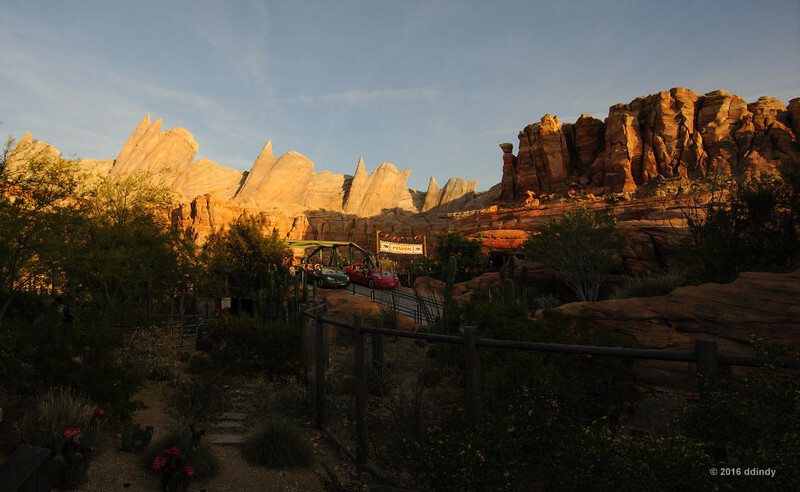 After the race is over, you make your way back to the loading/unloading area through Tail Light Caverns. 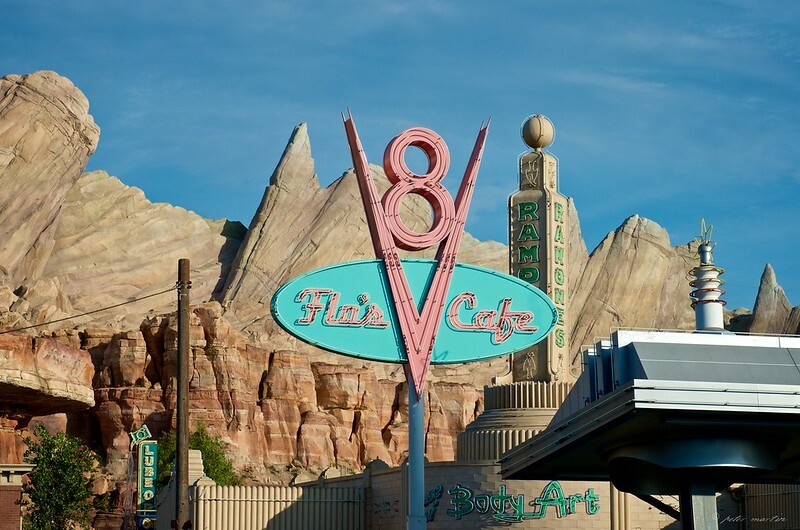 One thing I was afraid of was getting to Cars Land and seeing how they've miniaturized many of the landmarks like they did in new Fantasyland (i.e. 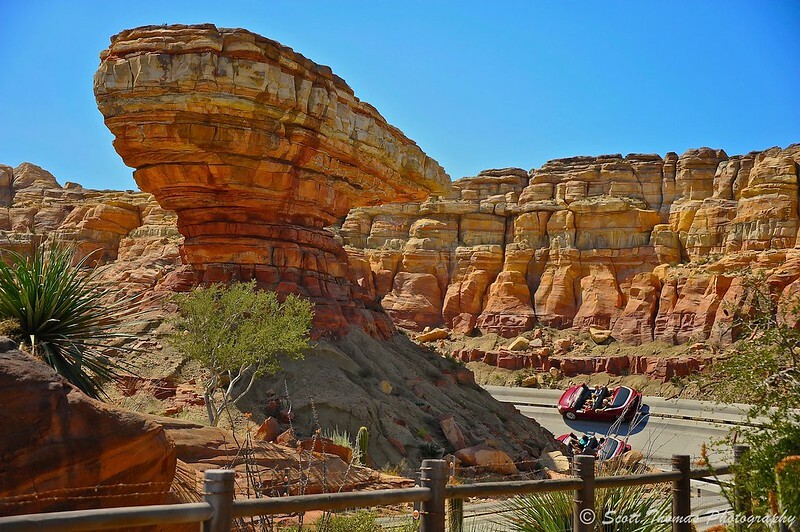 Beast's castle, Prince Eric's castle [the forced perspective stuff]). 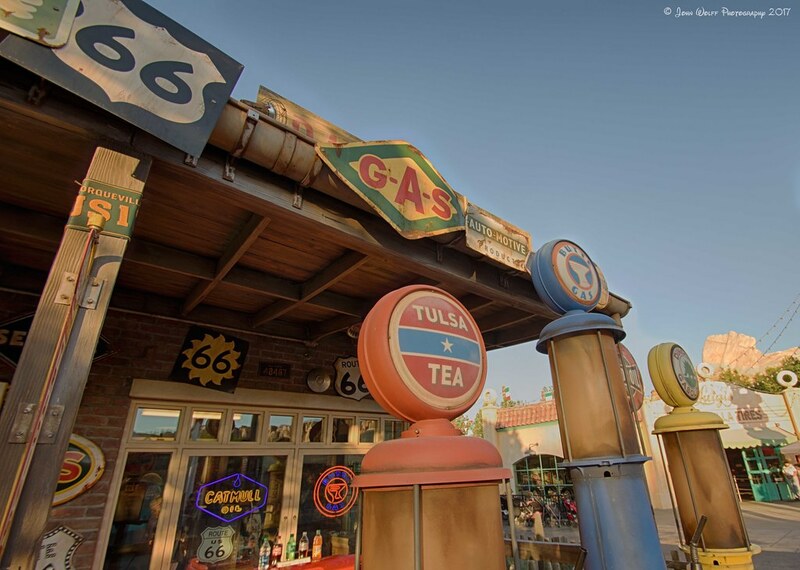 While there is quite a bit of forced perspective in Cars Land, it isn't so obvious. And where they needed to go big, they did. 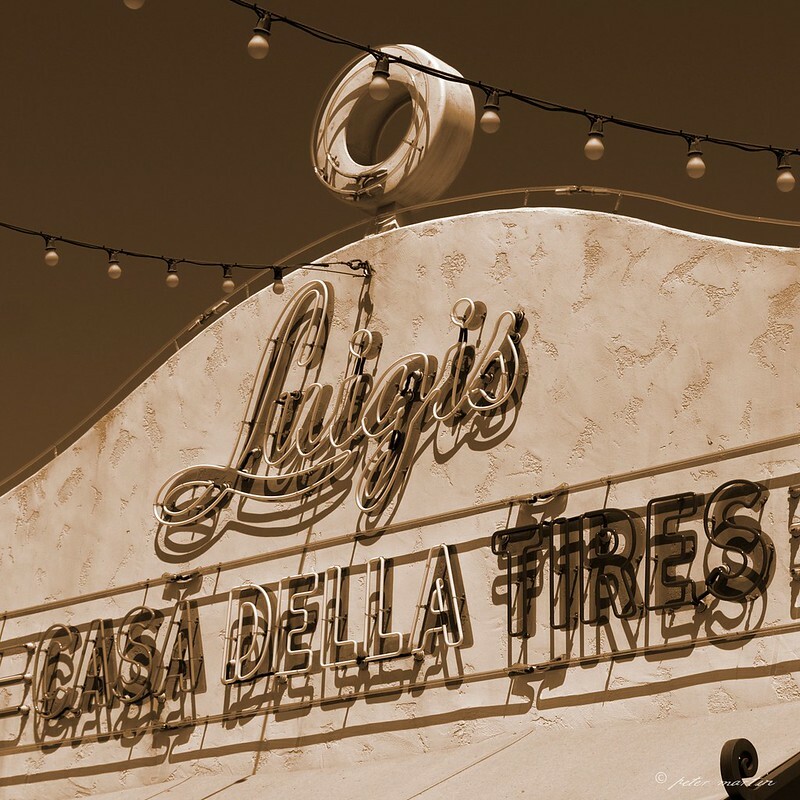 The area by Flo's, and Ramone's is easy to settle into. And once you do settle in, the illusion becomes blurred with reality. 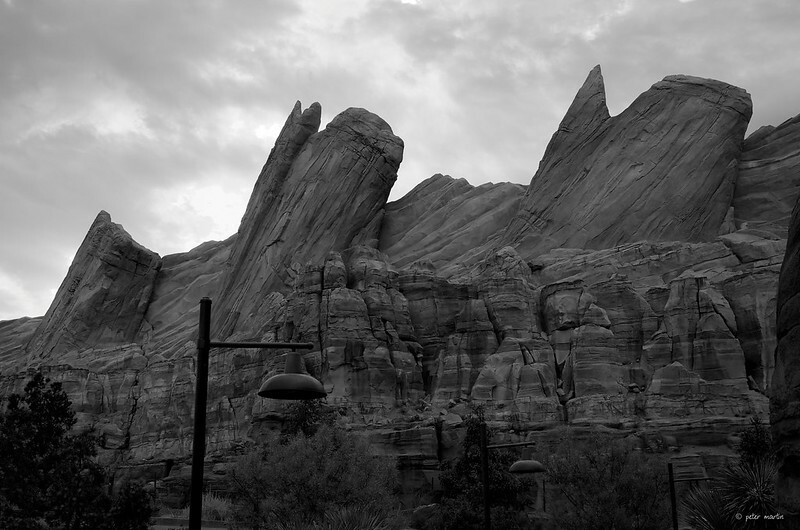 [Sigh] I'm needin' me a little Cars Land right now. 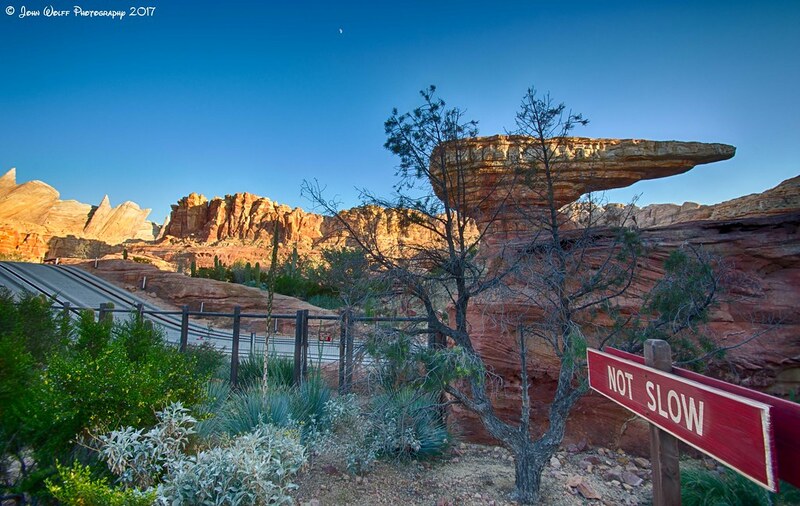 The light during Golden Hour in Ornament Valley is just stunning. And just the other side of the Cadillac Range is the motel I stayed at, the Candy Cane Inn. cinderellagirl2280 and Evad like this. We're all just a bunch of crazy tourists who have to take a picture of The Sign.